This LuxSci white paper is your guide to locking down your organizations email systems to decrease your risk from cyber threat and human error. 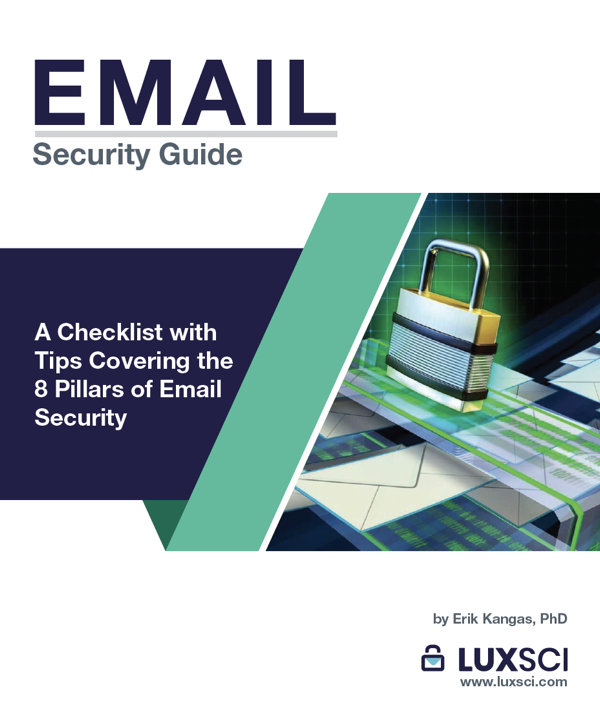 The Email Security Guide focuses on 8 pillars of email security and provides you with a checklist of best practices for each pillar with tips and comments from Erik related to each item. Its quick and easy to digest and provides insights that will assist organizations of all sizes in any sector. What do you hope to use this white paper for?